A nuisance lawsuit against a North Carolina hog farm, the fourth in a series of trials, began Wednesday in federal court in Raleigh. This case involves a farm in Sampson County. The Texas lawyer was back in town this week and he was again spinning quite a tale. In his first moments, the trial lawyer for the plaintiffs introduced the jury to a man named Wendell Murphy, and then tried to make Murphy into a villain. Murphy, the lawyer said, was the man who single-handedly transformed the pork industry. The Texas lawyer told jurors that it all began in 1972, with 1.3 million pigs spread across the landscape in North Carolina. Small farms, with a few pigs each, dotting the countryside, the hog manure just drying in the sun, like in a children’s book. 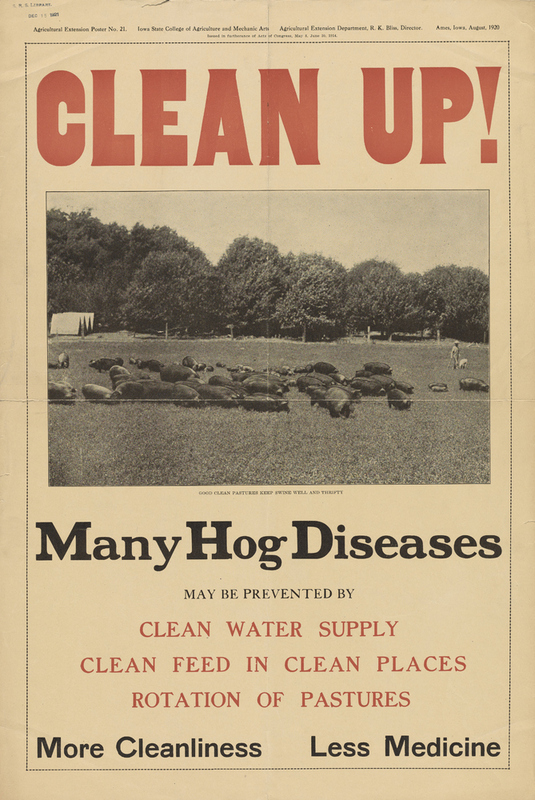 But Wendell Murphy changed all that, the Texas lawyer said, by “industrializing” hog farming and driving small farmers out of business. The farm on trial, the jury was told, was a part of that. Next, the Texas lawyer turned his attention to how our farms collect, store, treat and apply manure as a natural, organic fertilizer on a crop, in accordance with state regulations. “Murphy,” the lawyer drawled, “calls them lagoons.” He wanted the jury to think that “lagoon” was a term Wendell Murphy created, as if it were some sort of PR stunt. To top it off, the Texas lawyer then flashed words on a screen for the jury: “Murphy Passes Favorable Laws,” it said in bold type. The lawyer asserted that Wendell Murphy proposed, supported and secured the passage of laws favorable to our industry decades ago. None of that is true, and it shows what a fog this jury will be navigating over the coming weeks. Let’s start with the lagoon. The U.S. Environmental Protection Agency calls the treatment system used by many of our pig and hog farms — as well as many other industries and municipalities — a lagoon. This is not a new term. It’s been used for decades. 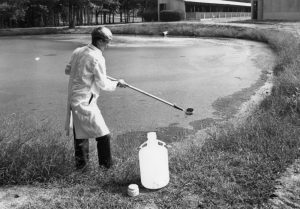 It’s in state and federal laws, and “lagoon” is what scientists, engineers and experts have long called the treatment system that many of our farms happened to adopt. To suggest that it is some kind of window-dressing creation by Wendell Murphy should instead, in one small example, provide reasonable people with the clarity to see what is happening in the courtroom. It is not a search for the truth. Well, the North Carolina legislature, urged by the Department of Agriculture and the North Carolina Farm Bureau, among others, passed laws in the 1980s and 1990s to support the growth and development of all of agriculture. Our industry was certainly supportive, but it is misleading to suggest otherwise, certainly that one man is responsible. Even the News & Observer, in its efforts in the 1990s to undermine the industry, could only go as far as to write that Murphy “voted for, and sometimes co-sponsored,” bills that benefited livestock. The votes? Unanimous or overwhelmingly one-sided in favor. Why were those laws passed? Because tobacco was under attack. Tobacco farms declined dramatically beginning in the 1950s. This state, more than any other, had long been dependent in a significant way on that one cash crop. Skyscrapers in Winston-Salem. Factories in Durham and Reidsville, and beyond. Markets in Wilson and Farmville, and beyond. Churches, hospitals, universities, banks, and more, all dependent on tobacco’s proceeds that washed across the state. 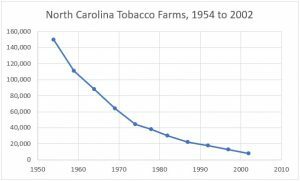 In 1954, around the time the first significant research challenging tobacco’s safety was published, there were 150,000 farms growing tobacco in North Carolina. By 2002, there were just 8,000 tobacco farms in North Carolina. Our state leaders, Democrats and Republicans, saw this happening and acted. They knew they needed to diversify. This is why there is an RTP. This is why there is a commercial pork industry. Diversify overall. Diversify within agriculture, which is still our number one industry. Now, let’s be clear: Wendell Murphy was, without question, a pioneer. 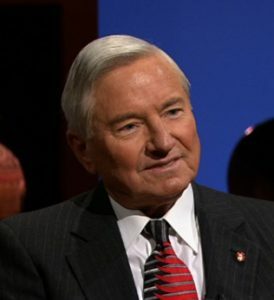 He was a school teacher, a feed mill owner, a businessman, and legislator. His contributions to our industry – and to the state – are lasting and important. They should be celebrated, not scorned. But if nothing else, the Texas lawyer should at least know what the truth is about our history. Surely, he must know that our industry doesn’t begin in 1972, that Wendell Murphy didn’t put those small farmers out of business, and that Murphy didn’t “industrialize” hog farming. Our history extends back 100 years, and the many decades of effort to continuously improve on two key matters, housing and sanitation, are well documented. Continuous improvement continues to this day. University, which used two research farms to demonstrate all the technology to make it successful – technically, operationally and, importantly, economically. This began in earnest in the 1950s. Research underway in 1973 at an N.C. State University farm lagoon. There were major breakthrough efforts at N.C. State that followed in the 1960s and early 1970s. The modern system was a response to well-documented concerns about the on-the-ground, out-in-the-woods system, especially about animal welfare, environmental impact, food safety and about broad efforts to ensure our nation’s ability to produce nutritious and affordable food using fewer resources on less land. Wendell Murphy embraced the ongoing innovations and improvements. And he wasn’t alone. Significant pioneers and businessmen across eastern North Carolina also adopted the technologies, and improved on them. Most importantly, though, our thousands of family farmers stood up to the challenges brought by tobacco’s decline, adopted livestock agriculture widely, sharing in the risk – and saving their rural economies. This is why, today, so many in eastern North Carolina now stand up for our farmers, who are under attack by well-financed, coordinated activists who are advancing their anti-agriculture agendas. Sadly, those attacks have now landed in a Raleigh courtroom. With a Texas lawyer leading the charge.